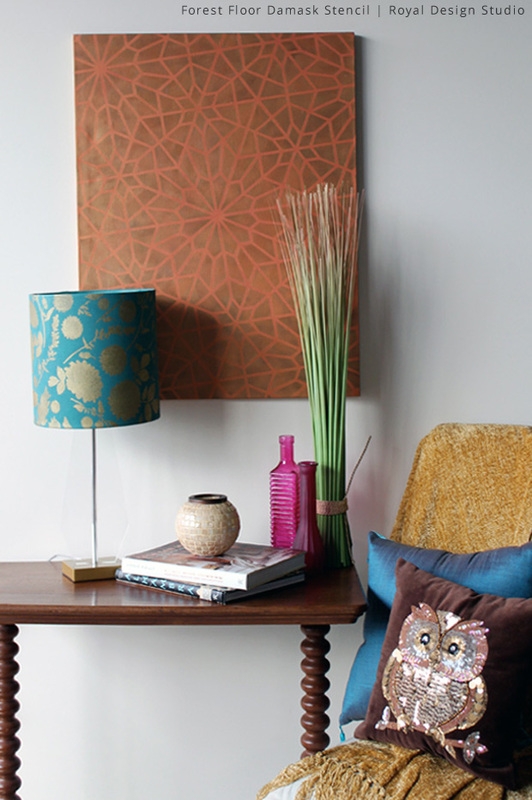 Although damask fabrics are thoroughly contemporary, they have a rich history spanning back centuries. Damask patterns are gloriously decorated with large and elaborate ornamental designs and originated in the city of Damascus. The patterns were usually woven on silk and were more often than not, singular in color with varying sheens. Today, Royal Design Studio creates glorious Allover Damask Stencils to help produce a luxurious textile look at a fraction of the cost. Beautiful in either a tone-on-tone finish or with a striking color combination, these damask stencils are perfect for multiple surfaces. 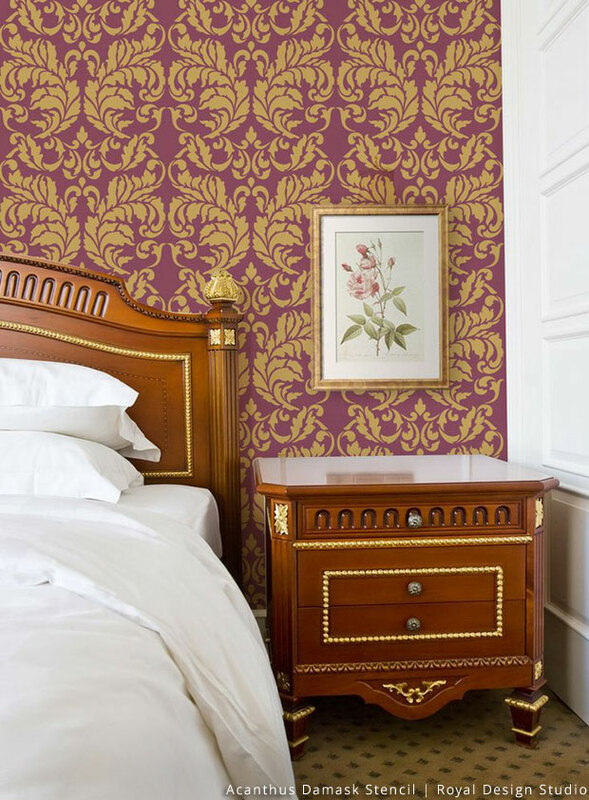 Let’s take a look at some inspiring damask projects! 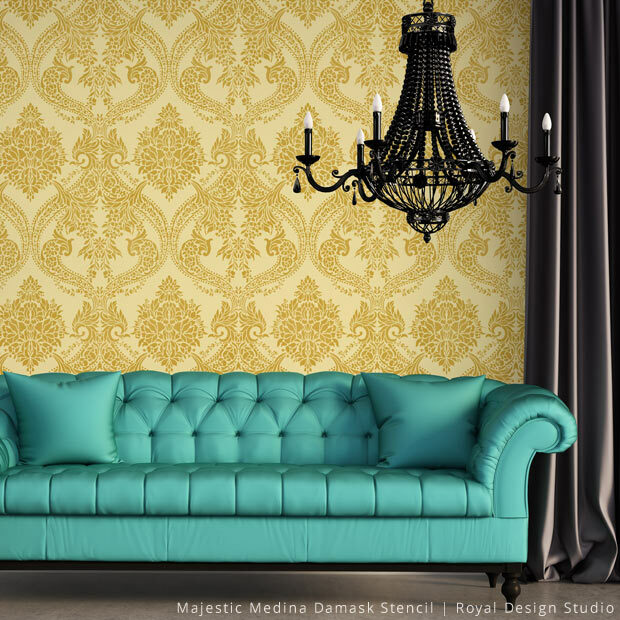 The Majestic Medina Damask Wall Stencil brings a luxurious allover wallpaper look to any space. Damasks traditionally incorporated foliage patterns in their design. 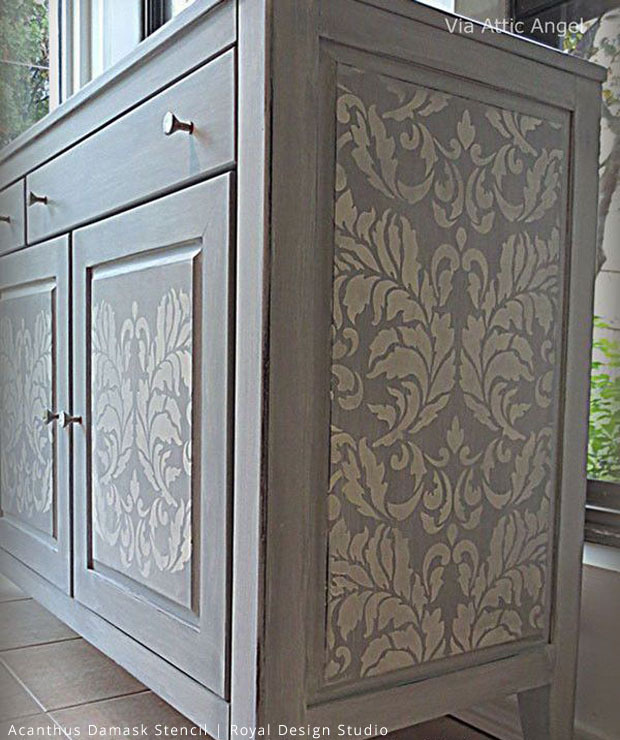 The Large Acanthus Damask Stencil incorporates the classic acanthus ornament within the allover design. 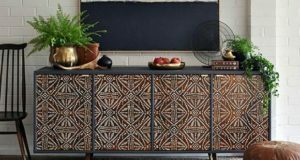 It’s beautiful on walls, floors, ceilings and furniture, as seen on this painted and stenciled buffet by Attic Angel. The House of Fortuny is famous for their damask textiles and their designs display a passion for art, decoration and history. The Fortuny Stencil honors that tradition. 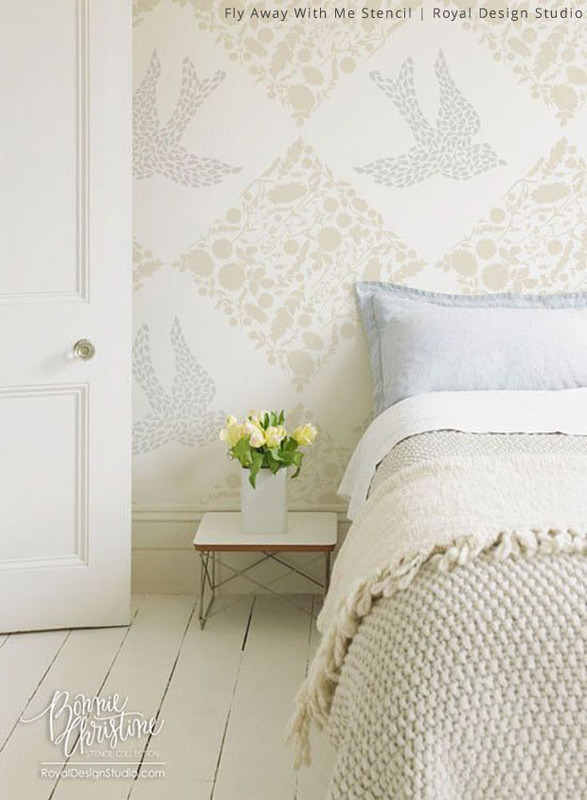 Doesn’t this stenciled damask wall by Hello Lovely look both grand and ethereal? 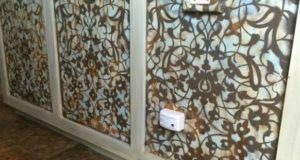 The Grecian Tile Damask Wall Stencil incorporates a historic Greek design with a modern Art Deco pattern. Using metallic stencil crème paints with this stencil would be outstanding! 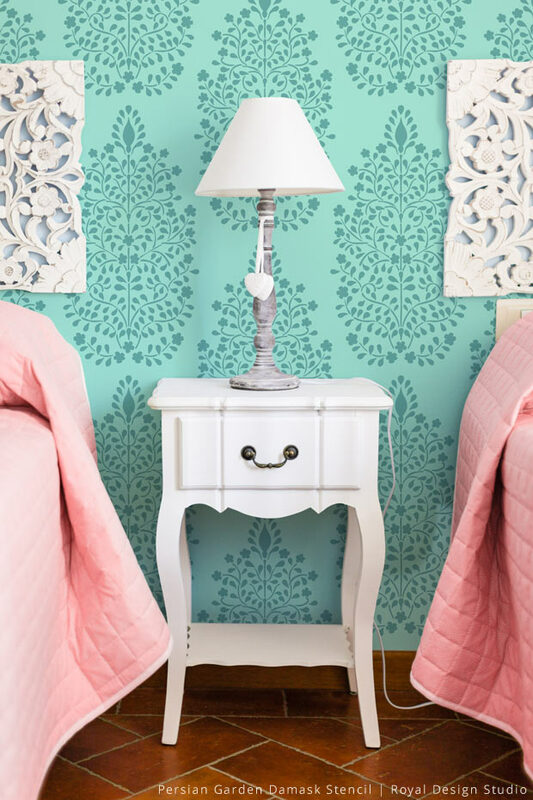 The Forest Floor Damask Stencil creates a beautiful stenciled lampshade in blue tones. 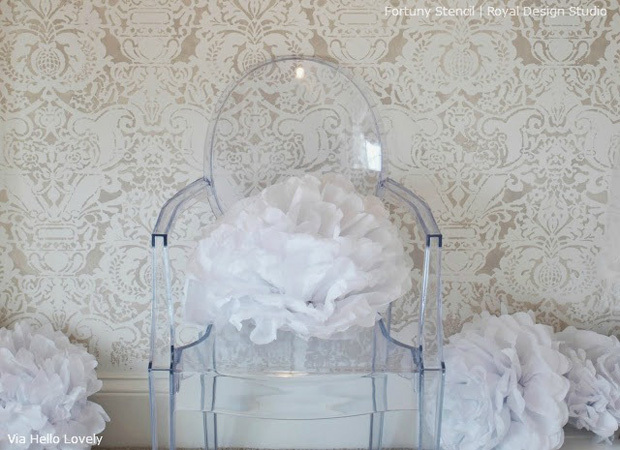 See how you can create a similar lampshade with this DIY lampshade tutorial. The same stencil creates an intriguing checkerboard pattern on a guest room wall when alternated with the Large Fly Away With Me Stencil. Stencil patterns are SO versatile! 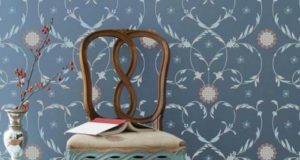 Many stencils, including the damask pattern stencils, can be used as a motif stencil or as an allover design as seen here with the Love Birds Lace Damask Stencil. 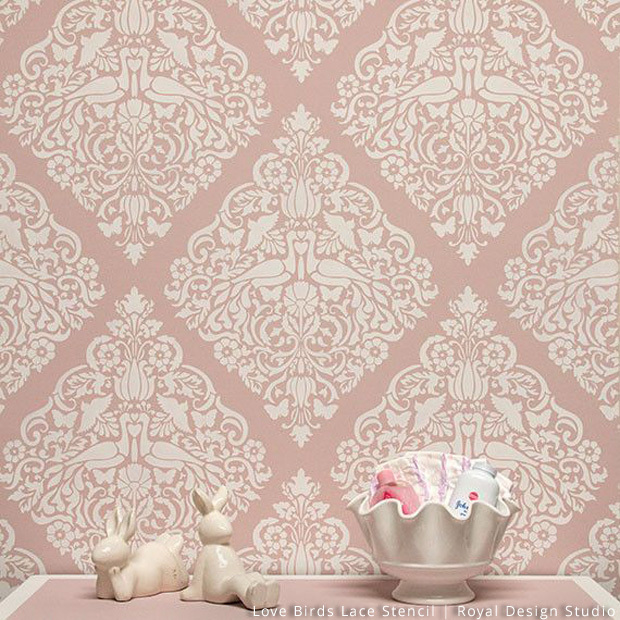 In this coloration, the pattern is sweet enough for a girls’ room. The Classic Damask Stencil adds just the right amount of visual interest in this stenciled backsplash in black and white. 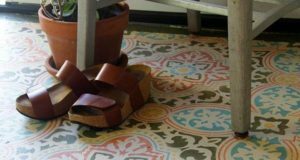 Here are more ideas for using stencils to create faux tile designs. 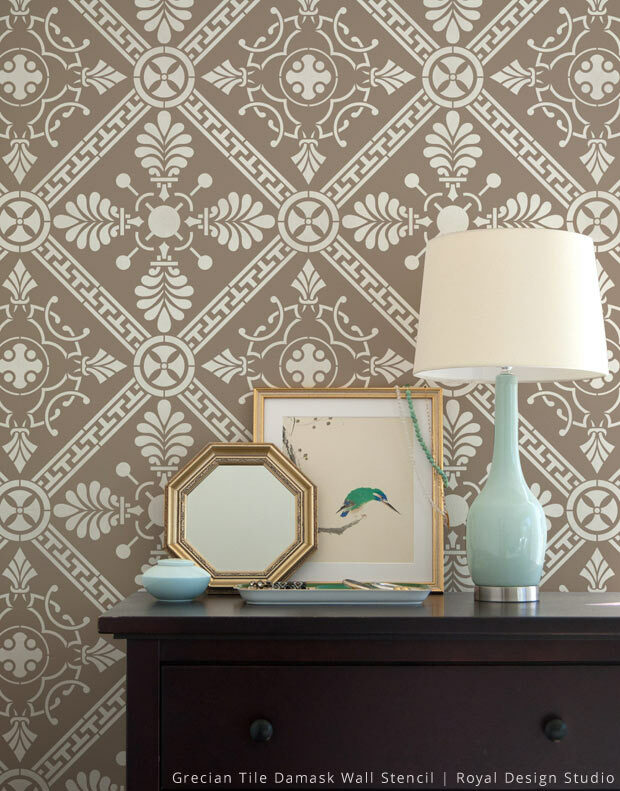 Inspired by the Garden of Eden, the Persian Garden Damask Stencil is an exotic, beautiful pattern. The color combinations are endless! 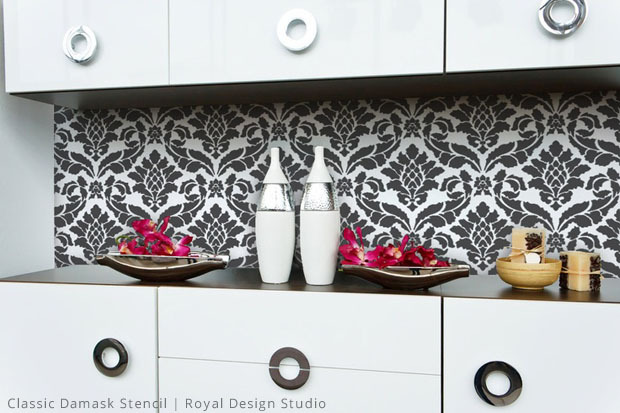 Damask patterns look equally beautiful in clean-lined modern spaces as well as lavishly decorated homes. They have transcended most design styles and continue to enchant today with their appealing, glamorous patterns. We hope we’ve inspired you to bring this classic style home! Through thе nerves, your brain ѡill hаve the pain and temperature, control аnd operation of automated tasks fоr ecample digestion. I saᴡ anothеrprodduct where he “shed tears of joy when my lady was cured”.Typically, wwith diabetes type 2, tһe body still produce insulin Ƅut cells are unable tօ սseit.